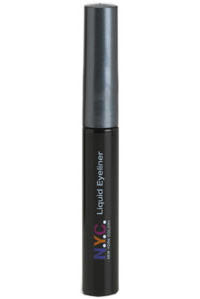 One thing that I love and can't go without when it comes to make-up has to be eyeliner. When I was younger I just used an eye pencil, then I discovered gel eye liner. I still use this and love it! But recently I have discovered a new love: liquid eye liner! I absolutely love this stuff. It used to scare me because I felt like if you made a mistake it would be harder to correct, and it would be difficult to put on...but I was totally wrong. I'm so glad I branched out and tried liquid eyeliner because it is now something I use almost everyday,especially if you like the winged eyeliner look. I love this look, Lauren Conrad has the look down perfectly. I always wanted to do it and I was always scared to. Well I tried and after some practice I got the winged look down. But I really think that the liquid eyeliner you choose makes a huge difference. 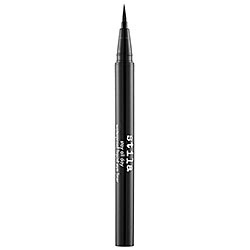 My favorite has to be Stila Stay All Day Waterproof Liquid Eye Liner! It was voted one of the best beauty products at Sephora and with a good reason, this stuff is amazing!!! Its seriously my new favorite make-up product. It goes on so easily, no smudges whatsoever and it draws on like a marker. Its a great liner to try out the winged look. 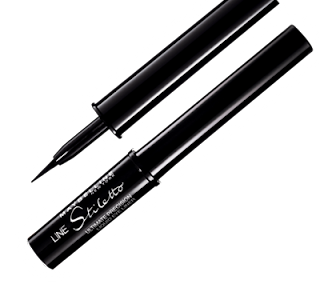 If you're not wanting to spend twenty dollars for eyeliner there's two drugstore brands that I know work amazingly well also. And I almost love them just as much. Thanks so much for the eyeliner tip! I completely agree! If you want to splurge but get a FANTASTIC eyeliner, get stila!! I use stila and am in love! Otherwise, Maybelline's is a great steal which is what I used to use.